LOS ANGELES -- A factory-owned Chrysler dealership in downtown Los Angeles will be the automaker's first store to sell Fiat-brand vehicles in the United States when it opens its doors the first week in January. 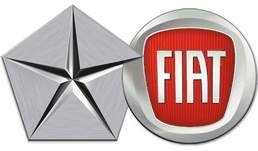 The dealership, Motor Village of Los Angeles, will have three showroom floors and sell Fiat vehicles, along with Chrysler, Dodge, Jeep and Ram vehicles, said Ramon Cabral, sales manager at the dealership. The new facility covers 184,000 square feet across three stories with a roof used for parking, Cabral said. The dealership, which has been known as La Brea Chrysler Jeep, is currently located about five miles west of downtown Los Angeles. Chrysler has owned La Brea Chrysler Jeep for about five years. The automaker is expanding and renaming the dealership as Motor Village of Los Angeles. The dealership also will serve as a Chrysler Group test site for new dealership technologies, processes and infrastructure, Cabral said. The store also will have a café, a play area for children, a cafeteria for employees and other amenities, Cabral said. The move will happen between now and the new facility's grand opening, scheduled for Jan. 5. Until then, the store's current location will continue to handle all sales and service business as usual, Cabral said. Auburn Hills, Mich., Nov. 16, 2010 – Chrysler Group LLC today unveiled Motor Village of Los Angeles, the company's newest dealership in the United States. When Motor Village opens for business in the first quarter of 2011, this company-owned dealership in central Los Angeles will not only sell and service vehicles, it will serve as a grand showplace for the Chrysler, Jeep ®, Dodge, Ram Truck, Fiat and Mopar ® brands. The four-level Los Angeles Motor Village is strategically located at 2025 South Figueroa St., just blocks from the Los Angeles Convention Center, the Staples Center arena and the L.A. Live sports and entertainment district in downtown Los Angeles.